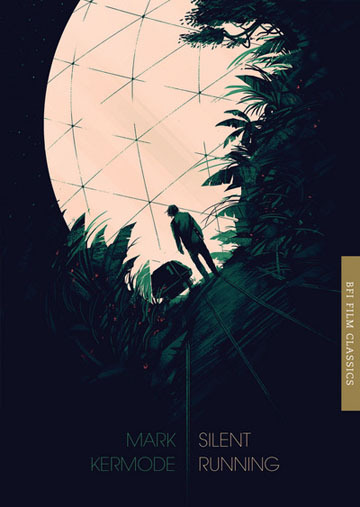 Mark Kermode, who describes Silent Running (1972) as his favourite sci-fi film of all time, traces Douglas Trumbull's sentimental masterpiece from its roots in the counter-culture of the sixties to its enduring appeal as a cult classic in the 21st century. A visually stunning and heartfelt riposte to the emotional sterility of Kubrick's 2001: A Space Odyssey, Douglas Trumbull's eco-themed Silent Running (1972) became one of the defining science-fiction films of the seventies. Bruce Dern excels as lonely hero Freeman Lowell, cast adrift in deep space with three robotic 'Drones' who become his 'amazing companions' on a journey 'beyond imagination'. Mark Kermode, writing on his favourite science fiction film of all time, traces Trumbull's sentimental masterpiece from its roots in the counter-culture of the sixties to its enduring appeal as a cult classic in the 21st century. Drawing on a new interview with Trumbull, Kermode examines both the technical and thematic elements of this uniquely moving space adventure, which continues to be mirrored and imitated by film-makers today. This special edition features original cover artwork by Olly Moss.